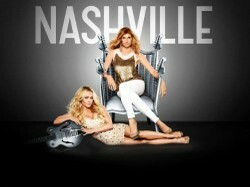 Nashville (TV Series) shows what happens behind the music, in the lives of famous country stars in the US. Meet the songstresses of the show and fall in love with their music. I love country music! That’s why last December, when I read that ABC had just aired “Nashville,” I tuned in to see what the show has in store for everyone. I must admit that at first, I didn’t like it. But I thought I’d give it a chance if only for the music. So I did, and I’m hooked. The show first aired on October 10th, 2012, and based on the viewer statistics (US), I think they’re renewing it for another season. The Pilot episode shows Rayna James, the reigning “Queen of Country Music,” struggling to sell concert tickets. As a result of this, her label forces her to co-headline a tour with country’s newest star, Juliette Barnes. Even before they actually meet, Rayna and Juliette already dislike each other. Eventually, the two agree to the tour. But as they entertain one city to another, not only do they have to learn to coexist with each other, but they also have to deal with their personal issues. Rayna struggles to keep her family intact, and Juliette has to deal with her alcoholic mother. This article presents three beautiful women as seen in Nashville. They are Rayna James, Juliette Barnes, and Scarlett O’Connor. They have different personalities, which I think we can relate to somehow. And don’t worry, they prefer to wear boots instead of heels. Wink! Read on to find out more about them. I tend to overuse the word “strong” when I describe women like Rayna James, but forgive me if I do that because I can’t think of a better term. I feel like that’s what she is -- a strong-minded woman. She knows what she wants, and she doesn’t depend on her father, who, by the way, is a millionaire businessman. Unfortunately, Rayna’s fame is slowly fading out. So she had to make a choice: to co-headline a tour with country’s newest best-selling star, Juliette Barnes; or to ask help from her father so she can keep up with her finances. It’s a difficult choice, but being the strong woman that she is, Rayna opts for other alternatives. Eventually, when there are no more options to exhaust, she agrees to tour with Juliette. 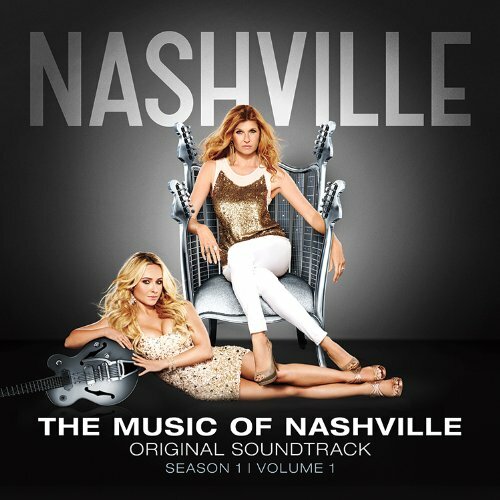 Rayna dislikes Juliette’s music. But I suspect that the real reason for the animosity is that she’s threatened by this young star. Juliette has a way of getting what she wants, and she never gives up until she gets them. For instance, to make Deacon Claybourne (an amazing lead guitar player and Rayna’s former lover) agree to join her band, Juliette showers him with a $50,000-guitar. Speaking of Deacon, Rayna finds herself conflicted between her husband, Teddy, and Deacon. So no matter how she tries to keep her family intact, there’s one complication she has to deal with. Will she make it through? Aside from being the Queen of Country Music, Rayna is also a doting mother of two beautiful children. She’s also a loyal friend, and a supportive wife. I know that Hayden Panettiere can sing, but I didn’t know she can sing country. Years ago, she was singing “Wake Up Call,” and she was playing a cheerleader superhero in “Heroes.” And now, she’s Nashville superstar Juliette Barnes, complete with a Southern accent. What can this girl NOT do? As Juliette Barnes, Hayden is feisty, stubborn, and scheming. She doesn’t take no for an answer, she doesn’t take orders from anyone, and she wants to do things her way. But sometimes, she’s out of line. “You work for me, not this man!” she screams, addressing the people she hires to be with her on her tour. This is perhaps the result of the pressure that goes with her image. Industry bigwigs, including Rayna, don’t think that she has what it takes to be a legit country star. But in reality, Juliette can write songs and create beautiful singer. Too bad only Deacon can see that. But after the lights go off, Juliette is just an ordinary girl -- someone who wants to love and be loved back, and someone who wants her mother by her side. Speaking of Juliette’s mother, Jolene Barnes, Juliette has struggled for years to make sure that her mother gets back in shape. Jolene is an alcoholic, and she’s been in and out of rehab countless times. But thanks to Deacon, it looks like she will sober up for good soon. In one episode, Deacon has a conversation with Jolene and the latter agrees to go to rehab to be treated. Will Jolene finally sober up? Scarlett O’Connor is the niece of Deacon Claybourne. She works fulltime as a waitress at the Bluebird cafe while doing her best to achieve her dream to become a country singer. Scarlett has an interesting personality. She’s nice and kind, but she is not afraid of speaking her mind especially if she thinks she is right. You can also say that she’s reserved, but she also falls in love just like other girls. I personally prefer Scarlett’s voice over Juliette’s. While Juliette tries to be sultry, Scarlett’s voice is effortlessly sultry. And it blends well with another lead character’s voice, Gunnar Scott. When Scarlett and Gunnar sing together, angels fly. Even the great Watty White is convinced they are the next Rayna-and-Deacon duo. In every episode, expect a fresh material to be sampled. I especially like the ballads, but the rest are good, too. Everytime that the characters sing these songs, I feel like I’m watching a music video. Get these songs here. Do You Watch "Nashille"? What Do You Think of the Show? Skyfall stars the hunky Daniel Craig. But did this movie deliver? Find out more by reading my Skyfall (2012) movie review. Farewell, My Queen (2012) recalls the days leading up to the French Revolution in the eyes of a maidservant in Versailles. Is this movie worth your time? Read this review.